Ivey's Pharmacy is a proud member of the Mineral Point community and has been serving the community since 1843. Ivey's Pharmacy was originally Rodulph's Drug Store. In 1853 it became Vivian's Drug Store until 1905 when it was purchased by Charles Ivey. Charles and his son Harry operated the business for nearly 100 years-until 2001 when ownership transferred to Ed Sayre, the current propietor. 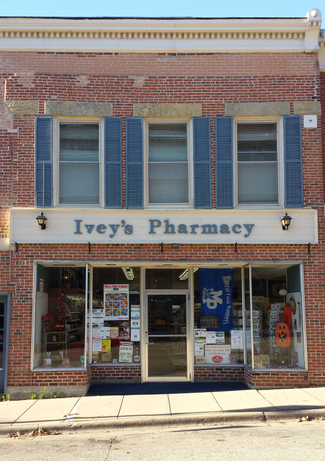 Ivey's Pharmacy is proud of the history and connection to Mineral Point and strives to provide contemporary pharmaceutical service while maintaining old-fashioned, personal care. Our professionally trained staff thrives in giving you the best care possible. Our staff is trained to support our customers and assist them with their prescription needs. The staff at Ivey's Pharmacy will work with you to help you better understand your medication treatment and address any health concerns you have.